【Multi-Platform Compatible】Support PS4, NEW Xbox one,PS4Slim, PC, Nintendo 3DS, PSP, Laptop, Computer, Tablet, iPad, Mobile Phone. 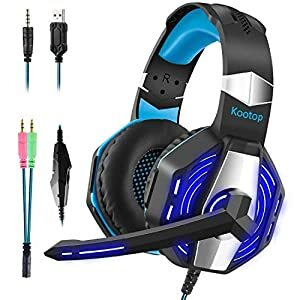 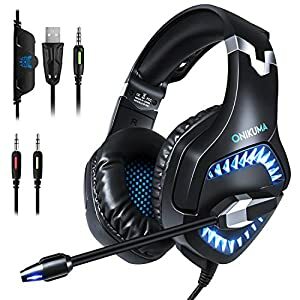 An extra Microsoft Adapter is required (Not Included) when connecting with an OLD VERSION Xbox One controller.if you are a professional gamer this headset must belong to you and suitable for you. 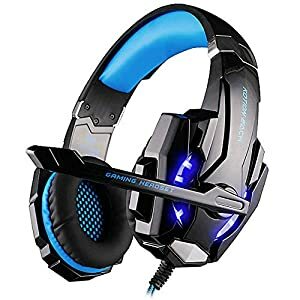 【PERFECT FOR VARIOUS GAMES】High-grade 50mm driver with neodymium magnets delivers clean clear bass and acoustic positioning precision, you can feel the full force of an explosion, a grenade blast, or a dubstep drop. 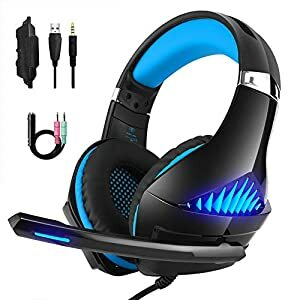 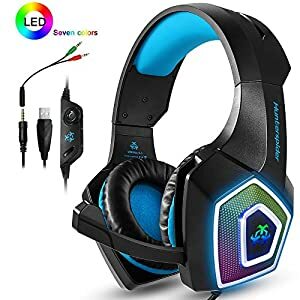 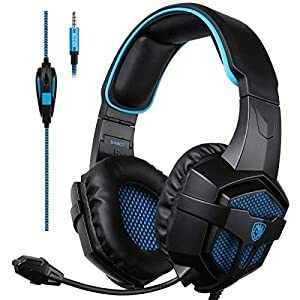 ♬【SUPERB MULTI-PLATFORM COMPATIBILITY】LinGear G2000 gaming headsets are compatible with many devices,such as PS4, PS4 Pro/Slim, Xbox One S/X, PC, Nintendo Switch/3DS (audio), PSP, Laptop, Tablet, iPad, Mobile Phone ( Work by connecting with 2-in-1 adapter ) and Computer. 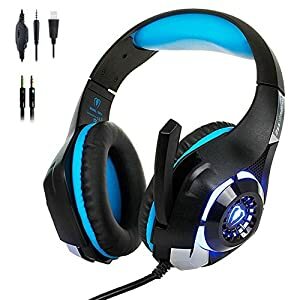 ♬【SUPER REAL AND IMMERSIVE GAMING EXPERIENCE】This headset has high-grade 50mm driver with neodymium magnets, can maximize the clarity of sound and deliver clean clear bass and acoustic positioning precision. 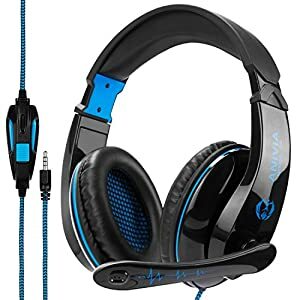 At the same time, the soft over-ear ergonomic ear cups are thicker and bigger to isolate ambient noise. 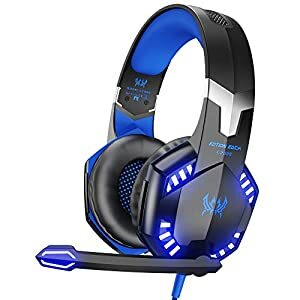 Just take your gaming experience to a higher level that you can feel the full force of an explosion, a grenade blast, or a dubstep drop. 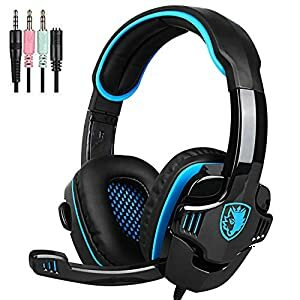 And you can easily do it with on-line control. 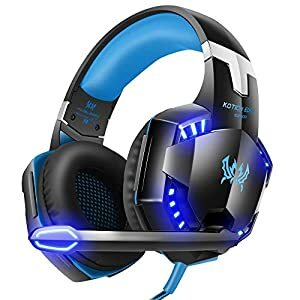 【Surrounding Stereo Subwoofer】Clear sound operating strong brass, splendid ambient noise isolation and high precision 40mm magnetic neodymium driver, acoustic positioning precision enhance the sensitivity of the speaker unit, bringing you vivid sound field, sound clarity, shock feeling sound.